Not all Costa Rica rentals are alike! This particular rental will help you hire a personal chef for your stay so that you can fully enjoy this luxury villa. And yes, a bartender can also be arranged, you don’t even need to ask. When visiting Costa Rica, a rental is the only way to go. Your group can live in the lap of luxury with a private chef, private section of beach on the Pacific Ocean, a private bartender, a private hairdresser and make-up artist, plus a private massage therapist. It is your vacation. Everyone in your group should enjoy themselves. Casa de Luz can provide all of these services for you. This is not like a hotel room. 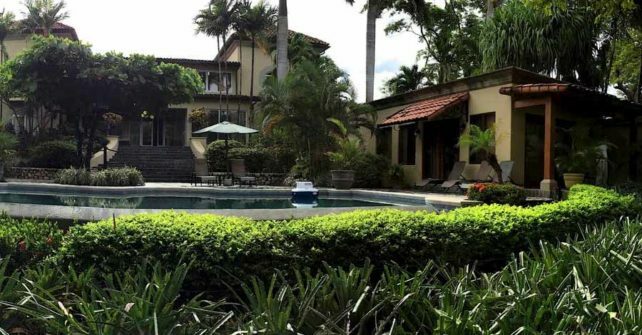 This is an 8-room luxury villa that is right on the beach in Langosta, Costa Rica. A small staff comes with the villa and any other personnel you’d like to enjoy can be arranged to serve you. Just let us know what type of services you’ll need during your stay and we’ll handle the arrangements for you. Langosta and neighboring Tamarindo have everything you could possible want in a luxury vacation. Many tours and excursions pick up guests in Tamarindo and travel off to adventures. There are numerous opportunities for fine dining and the freshest fish is always on the menu. That is one big advantage of staying right on the ocean. After all the shopping, touring, dining and dancing there is always a bed in the Casa de Luz villa waiting to lull you to sleep to the sounds of the waves crashing on the shoreline. Casa de Luz is a luxury villa located in Langosta, it is one of the finest Costa Rica rentals in the Tamarindo area. Check our calendar to see if your dates are still open.